The Spike candle holder by Mater was designed by Amanda Walther and convinces by the pointed, three-legged frame, which is suitable for three taper candles. 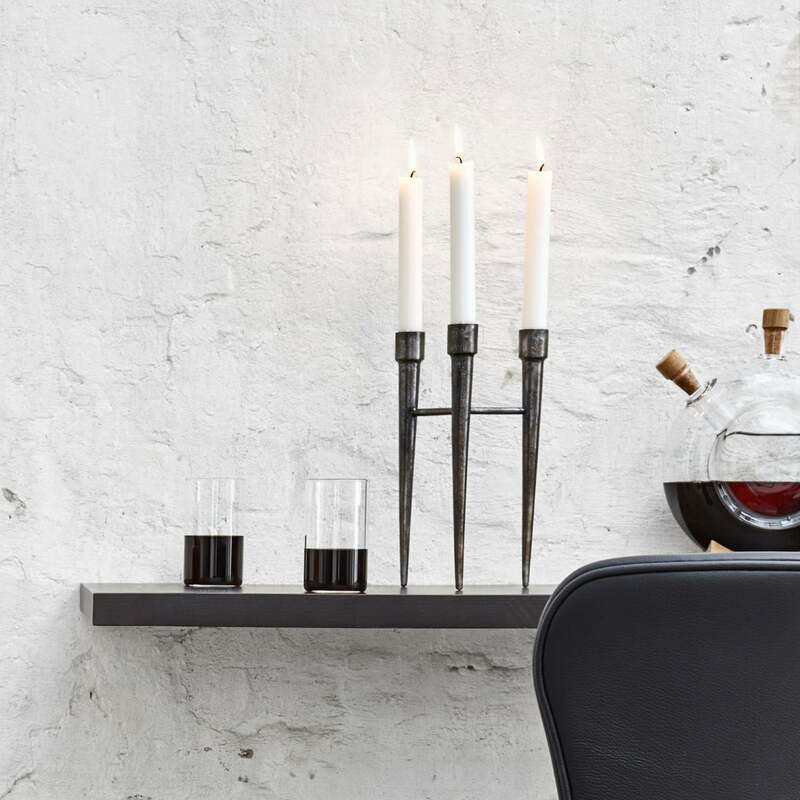 With Spike, the Danish designer has created a timeless and iconic candleholder made of recycled materials, which is manufactured according to Maters' principles using traditional production methods that support people and protect the environment. Each Spike candleholder is made using traditional casting techniques in the region of Moradabad, India. For generations the cast iron process has been used in this region, which in recent decades has been largely replaced by industrial production methods. "Spike” honours old crafts by providing the local craftsmen work to help the craft survive over time. 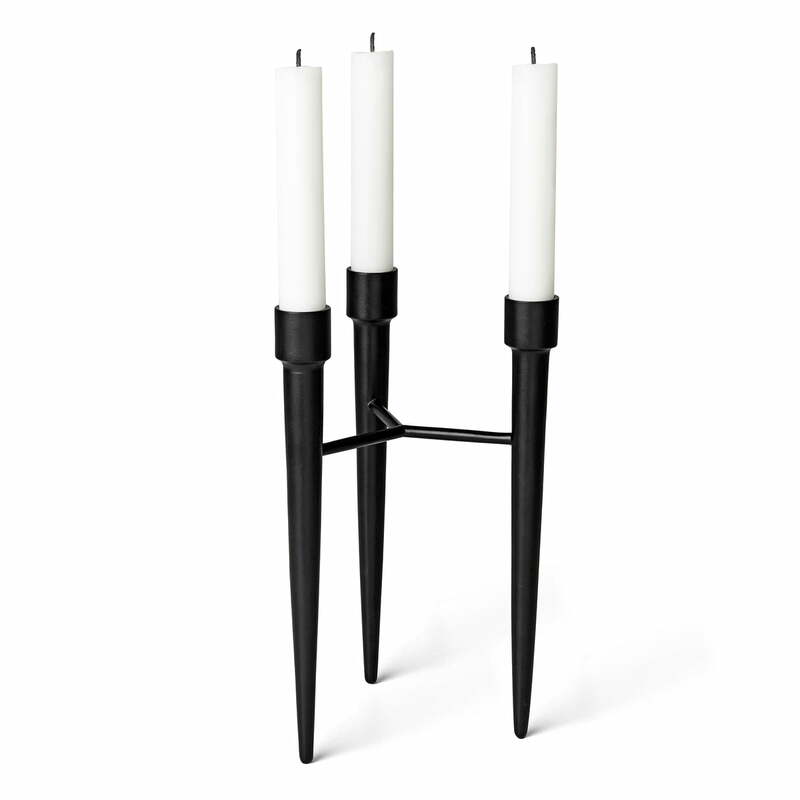 The solid cast iron candleholders are made of recycled materials. 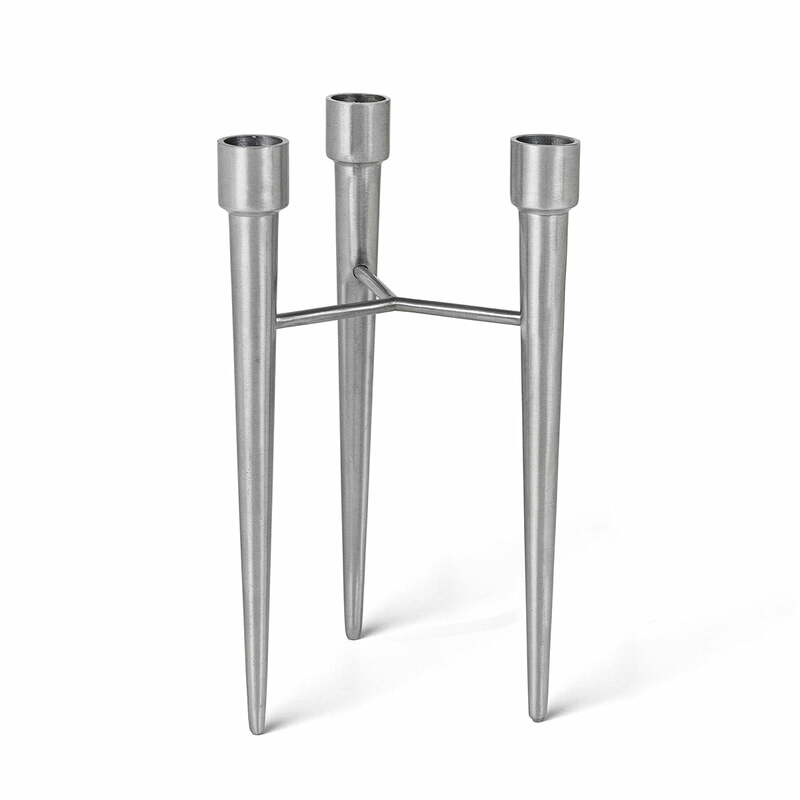 The Spike Candle Holder from Mater in matt aluminium. Each Spike candleholder is made using traditional casting techniques in the region of Moradabad, India. The Spike candle holder by Mater was designed by Amanda Walther and convinces by the pointed, three-legged frame, which is suitable for three taper candles. With Spike, the Danish designer has created a timeless and iconic candleholder made of recycled materials, which is manufactured according to Maters' principles using traditional production methods that support people and protect the environment.